Italy has a colorful, interesting heritage. Its soap making history is just as rich. In the 1950s, many people who lived in small villages could only dream of having running water. Many of those who didn’t have running water in their homes couldn’t afford to buy washing machines, especially since the economy was less than desirable until the 1970s. The task of washing clothes was even more daunting for women since most families have a huge average size. As a result, delicates would be washed only a few times a month. Larger garments were only washed during springtime when rivers flowed rapidly because of the spring thaw. During the summer, drought was prevalent in the country. This piled up the amount of dirty laundry – so much so that homes even had separate rooms to store the dirty clothes until the river had rapid waters again. Bigoncia was an alternative way of doing laundry. It is a big tub placed on a wooden pedestal. Clothes would be layered, with the tiniest pieces at the bottom and the biggest ones at the top – until the tub was full. The bigoncia was covered with a big piece of cloth, coated with wood cinders. A lot of boiling water was poured over the laundry pile, passing through each layer, until it drained out through the “buco” (small hole at the bottom). The dirty water oozed out dark in color and thick, with a bad odor. They called it “Sugo di lenzuola” or linen sauce. There is a two-step process for washing delicates. They are first dipped in a water, flour, and lemon juice mixture. This gets rid of the bad odor. Next, they are placed into boiling water with soap shavings and then stirred together. After that, they are transferred to the river or public wash basin. Here, they are thoroughly rinsed and later hung to dry. Thankfully, modern times have progressed with much more sophisticated soap making technologies. Still, Italian soap makers use the most natural ingredients and traditional methods when creating soap products. Here are some of the most popular Italian soap brands today. The Florentine Artisan Soap Company / Saponificio Artigianale Fiorentino’s Florentino Soap is one of the most coveted products from the country. The brand uses high-quality natural, raw ingredients, and genuine, gentle craftsmanship during their production. As a result, the soaps they make meet the various needs of local and global markets. The brand’s motto is The Art of Quality, which has set as the company’s guiding light in setting the benchmark in the Italian market as a superior soap quality producer. In fact, they are the leading soap maker in Italy. They use cutting-edge technologies and impressive staff enhancement methods. From start to end, the production takes place with excellence and safety in mind. The raw materials shine brightly in presentation and packaging, too. Their soap line is remarkably original and is now beloved all over the world. The Saponificio Artigianale Fiorentino Limone Soap Bar shows the core values of the brand, as well as the culture and colors of Italy as seen in the packaging. 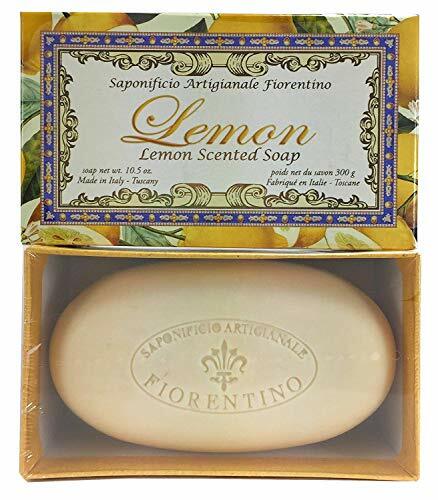 The classic use of lemon in soap making is inherent as well in this particular product. Valobra was founded in the early 20th century by Virgilio Valobra. He started his factory for soap making in Genoa, Northwest Italy. The biggest value of the brand is to preserve the traditions of soap makers from the 18th century. The soap masters of that time developed their techniques through time and practice, along the Portofino coast all the way to Marseille. To this day, their crafting of fine soaps require the most natural and purest ingredients. They have carefully honed their research and production skills. The main selling point of Valobra soaps is their emollient, protective, and moisturizing properties. As a result, consumers experience a delicate wash with natural skin protection. 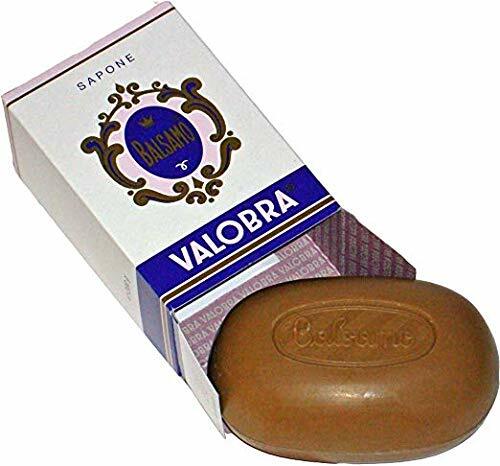 They have products for all types of skin, such as the Valobra Balsamo Balsam Soap. It is made from pure, invigorating balsam in a base of lecithin and vitamin E, making it ideal for oily and greasy skin. Olivella creates products that only use 100% virgin olive oil and other natural ingredients. The brand focused on rediscovering the old traditions of using olive oil. In the end, all of their products included the ingredient to provide a healthier and safer line of skin care products. The brand takes stock in the wonderful history of olive oil use, which goes back to the early Roman and Greek civilizations. Olive oil was used all over the world to cleanse and even cure skin conditions. That’s why Olivella’s products feature the ingredient so fondly. 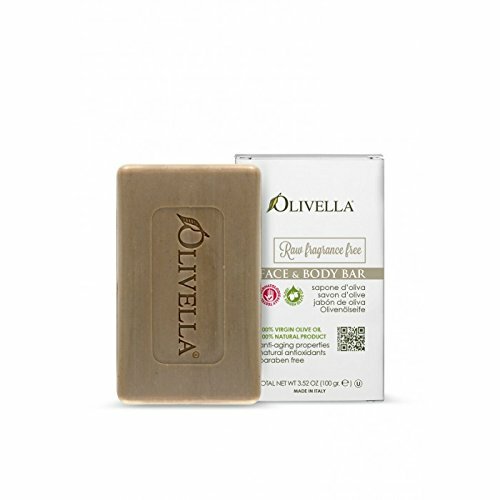 A great example is the Olivella 100% Virgin Olive Oil Face and Body Soap, which has anti-aging and antioxidant properties as well. Nesti Dante products stand out from the rest of the market because of their amazing package designs, on top of an already high-quality product. Their soaps come from full oils (not fatty acids), which would otherwise be used in the kitchen to create cookies, pasta, and even chocolate. These raw materials are boiled using the tradition of saponification for 4 straight days until a perfect soap base is obtained. No impurities are present. The glycerin content is eliminated after that, giving an even safer and richer soap. The process is very long, but the results are astonishing. They get premium soaps every time, and they never buy ingredients from other companies. Nesti Dante soaps are triple-milled, under a timely process that results in a very refined product. Consumers get a smooth soap that lasts a long time, plus it has no impurities. 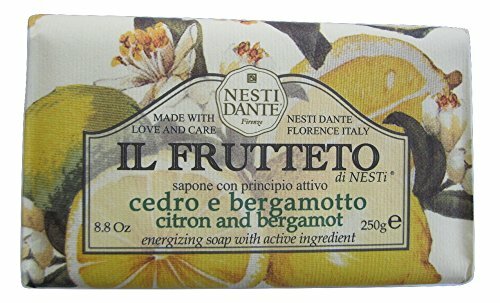 A signature product from the brand is their Nesti Dante Il Frutteto Energizing Soap (Citron and Bergamot). This soap bar is 100% natural, using the active ingredients of olive oil and fresh fruit. It is fragrant as much as it is energizing. The packaging and overall vibe of the soap are inspired by the incredible Italian Tuscan orchards. Check out our post on French soaps and Portuguese soaps.